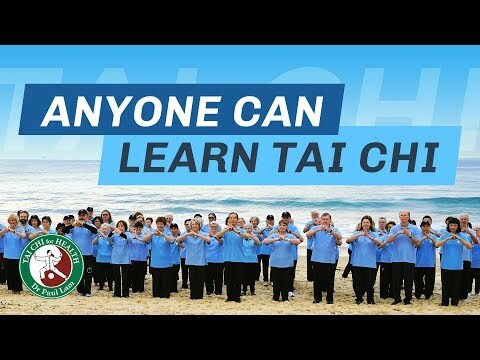 Summary of "A Randomized, Controlled Trial of tai chi for the Prevention of Falls: The Central Sydney tai chi Trial"
This largest fall prevention study in the world involved 702 people in the community. After 16 weeks of learning and practicing a Tai Chi program (80% of the participants did the Tai Chi for Arthritis program), the results showed that Tai Chi significantly reduced the number of falls. Tai Chi also significantly reduced the risk of multiple falls by approximately 70%. The study concludes: "the findings from this study indicates that participation in weekly community-based tai chi classes can reduce falls in relatively healthy, community-dwelling older people. Given that the tai chi program used existing community facilities, the study suggests that tai chi is an effective and sustainable public health intervention for falls prevention for older people living in the community." Congratulations to the Central Area Health Promotion Unit! This is one of the most effective works anyone can do for health promotion. And it adds to the mounting evidence of the many tai chi's health benefits. "The Effects of Sun-Style Tai Chi Exercise on Physical Fitness and Fall Prevention in Fall-Prone Adults"
Effects of tai chi exercise on pain, balance, muscle strength, and physical functioning in older women with osteoarthritis: A randomized clinical trial"
What Inspired me to Start Tai Chi?